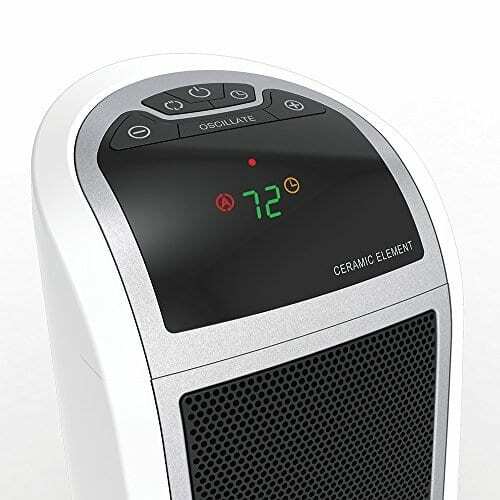 There are times when using a space heater, like this one, is the best heating choice. 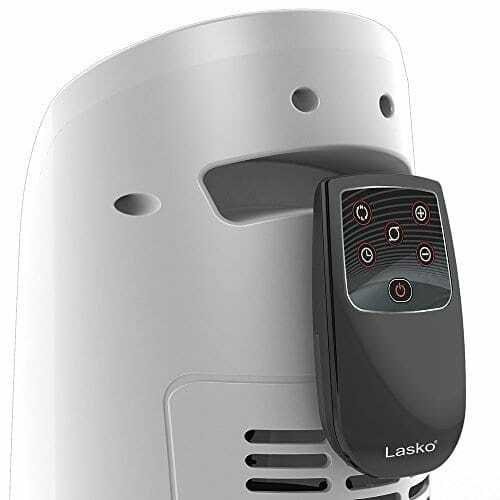 The advantages of this unit are that it comes with a remote control and that it has a digital thermostat, both of which make it really easy to be comfortable when the temps start to drop! 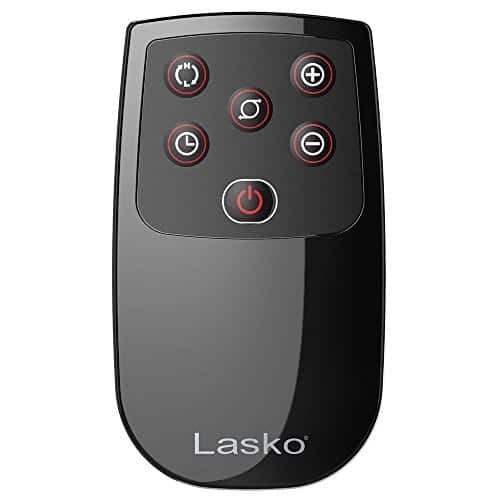 The ONLY downside to this unit: because it is electronic, if the power goes out… the unit does NOT turn back on when the power comes back (so don’t rely on this as your primary heat source if your are staying somewhere that the power isn’t reliable). 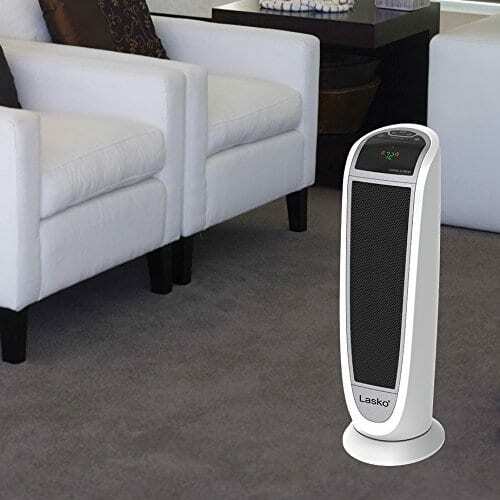 If you need a heater that will resume heating when power is restored, check out this Hunter unit we’ve been using. 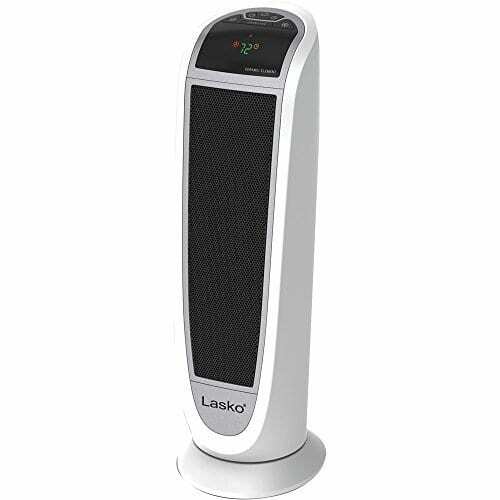 Lasko Digital Ceramic Tower Heater with Remote Control with 2 Quiet Comfort Settings: High Heat, Low Heat, Auto Multifunction Remote Control, Electronic Thermostat and Timer , Precision Digital Controls, Adjustable Thermostat, Eight-Hour Timer, Built-In Safety Features: Safe Ceramic Element , Overheat Protection, Cool-Touch Housing, 1500 Watts of Comforting Warmth, Widespread Oscillation, 2 Quiet Settings, High Heat, Low Heat Plus Auto (Thermostat Controlled), Fully Assembled , Carry Handle for Room-to-Room ETL Listed”. Fully Assembled with carry handle. 22.76″ tall.